The Language Project offers free video courses in synthetic biology in 26 different languages (9 of which are Indian), and is the brainchild of a group of undergraduate students from the Indian Institute of Technology (IIT) Madras. Here is their story. We are a team of undergraduate students from the Department of Biotechnology, IIT Madras, and we decided to create the Language Project as an initiative for the public to easily understand various ideas and research in different areas of biotechnology. Partly fueled by our love for genetically modified organisms (GMOs) and genetic engineering and partly in order to participate in the annual International Genetically Engineered Machine (iGEM) competition, we took up the challenge of making science accessible to all Indians. iGEM is a synthetic biology competition held every year at Boston, USA, with around 400 teams participating from all over the world. Synthetic biology is the science of manipulating and designing biological systems. Lying at the intersection of engineering and biology, it involves the genetic manipulation of organisms and affects the public directly or indirectly, one famous example of the same being GMOs (Genetically Modified Organisms). IIT Madras has been participating in this prestigious competition since 2008. Every year, our team works on a project that aims to solve local challenges and create awareness among the general public. We believe that science should reach out to people and not be confined to the laboratory. However, when our team members approached the public to talk about synthetic biology and our project, we faced an unanticipated barrier. Many people were not only unaware of recent developments in the field that make synthetic biology possible, but also could not speak or understand the language most scientific research is communicated in: English. India is a diverse country with 22 official languages where only 10.6% of the population understands English (2011 census). Synthetic biology is a recent and unique field that can raise several ethical questions and therefore, public engagement is essential. For effective public involvement, we need the audience to understand the science behind synthetic biology. Hence, we decided to design an introductory course on the basics of synthetic biology in several Indian languages. But the need for a Language Project ran much deeper, as we soon realised. Science in general, and biology in particular, is relevant for everyone. For example, people may know about a disease and its effects but very few bother to learn about the underlying cause or actual mechanism. Many of our peers in school also perceive biology as a dry and boring subject with just rote memorisation of facts. Very few appreciate its beauty and are fascinated by the many unanswered questions which are open to wide areas of research. Many also don’t see biology as a growing interdisciplinary field. Our team believed that we could make a significant impact by generating content in vernacular languages, and hence began the journey of the Language Project. The enquiry of how life came to be and our quest to understand and deal with its elegant complexity must be inclusive and universal. This introductory course on synthetic biology (originally in 9 major languages spoken in India) aimed at lay people of all age groups and all walks of life, is our humble contribution to the ever-growing revolution of bringing science to all. To make The Language Project easy to access and document, we have developed a website: The Language Project. The languages we’ve made content available in so far are Bengali, English, Gujarati, Hindi, Kannada, Malayalam, Marathi, Tamil and Telugu. We next decided to make simple videos on introductory concepts of biology. Most of us learnt the basics of science in school from NCERT textbooks, which we felt was the best starting material to explain these concepts to others too. 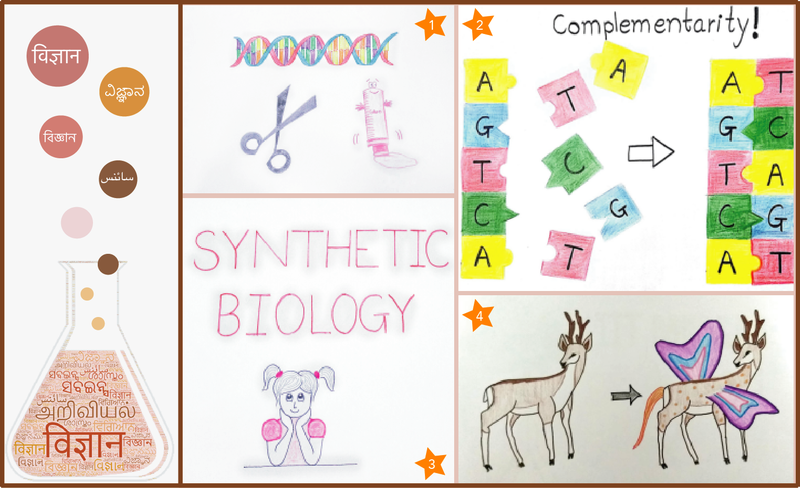 The content for all videos was compiled and reviewed by the team members, taking the major concepts from the NCERT biology textbook. This was then translated by the team members who belong to different states of the country. A challenge faced by many of us was the translation of a few scientific words from English to their native language, because either the words didn’t exist in the regional language or were not well-known to the common people. So, it was decided to use a few English words along with Indian languages, wherever necessary. We also tried showing our videos to people who had little or no knowledge of molecular biology or gene editing concepts, to get some feedback on what we needed to focus more on and cover in the video. Another major challenge was deciding which images to include in the video. Since iGEM does not allow the use of copyrighted images, we thought that it would be best to have hand-drawn illustrations. This, we believed, would also bring in an element of originality in the videos. We tried to come up with images that best described the text and at the same time took ideas from different textbooks, primarily NCERT, for our drawings. Hand-drawing and stitching the images together was a laborious, time-consuming process. But we knew that in the end, it would impact a large number of people, which kept us motivated. The next step was syncing the audio with our drawings to make the videos. After multiple edits and drafts, we decided to release our videos on YouTube. Since then, the Language Project has taken off. 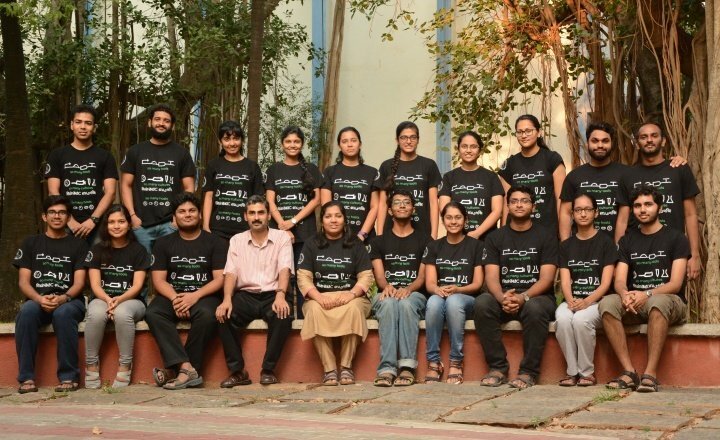 We began with 9 Indian languages, now we have content in 26 different languages, collaborating with 13 other iGEM teams for 11 foreign languages. The internal struggles that we faced also deserves a mention. We had to believe and work towards something when we didn’t know what it could become. Creating illustrations, translating and writing scripts becomes a laborious and monotonous task. Such times tested our resolve and commitment to our goal. At those times we had to maintain our grit and ensure we create an accessible product, which was taxing but rewarding in the end. Hopefully, our language project will generate enough interest to make people excited about science. This we believe will promote fruitful discussion between educators, researchers and stakeholders. The task was arduous at times. Science communication does not only involves creating the content, but also making sure that it is reliable and accessible to the public. This climb uphill was made easy due to the encouragement from not only the faculty, and administration in IIT Madras, but also from CSIR-Centre for Cellular and Molecular Biology (CCMB), Hyderabad. With their help, we were able to gain valuable insights and reach a huge audience. We are grateful to the Principal Scientific Advisor of the Government of India, K VijayRaghavan, for his continuous support. We sincerely thank CCMB, our professors, advisors, friends and all others who believed in us and guided us. We express our sincere gratitude to IndiaBioscience for connecting with us and representing our work on their platform. Did you enjoy this article? Do you know of more such efforts? Please let us know in the comments below.